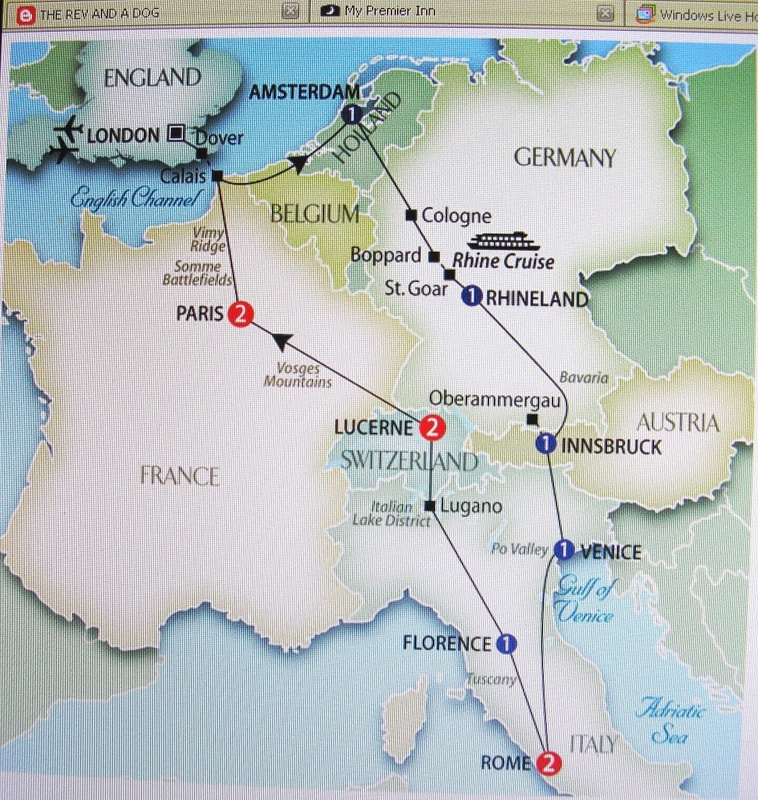 I thought you might like to see the trip that I organised for my brother Allan. I took this photo of my screen. It didn't turn out too bad. My husband and I took several Trafalgar tours when we first started traveling. What we liked best about Trafalgar (aside from the great sightseeing) was the great mix of people from all over the world that were on the tours with us. We especially enjoyed getting to meet folks from Australia and New Zealand. I know your brother will have a ball. That is such an interesting trip...and I adore the Italian part especially. When you do your own itinerary I hope that it may include "The Emerald Isle"?!! We do beauty in miniature!! Thank you for your comment on my church photograph. It is indeed a place where you could rest in peace. When you come to the UK you could take in an Auction on one of the days.... silver tea services go for "next to nothing" as an awful lot of folk can't be bothered with them. There are some very pretty ones. Mine is a collection made over the years from car boot sales and odd bits that I've been given. The tray was a gift from friends when I graduated. Hey! I've just seen that The Rev and a Dog is one of your menu options on the picture!!! Fun!! You could do what our Australian relatives did... they bought a camper van and toured UK and Europe in it for six months... and then sold the van, shipping home some crates of "stuff".!! It worked for them...and every so often they'd park at a relatives (friends?) place or a "Bed and Breakfast" and get a good wash/bath, use the laundry and sleep in a "real" bed for a night or two... and then move on. The freedom of the open road, no obligations, no real depreciation on the second-hand camper and you can just follow your heart. If you like a place - stay longer - if you don't - move on! What a great way to share holiday plans! Your brother must be so appreciative of the time it took to do this for him! With all your new 365 friends, you could travel the world and visit them all now! I remember doing a Trafalgar Brittania Tour around England, Scotland and Wales in 1997... what fun it was! And I'd love to go and do it all again (minus the booze and the few hangovers I copped! :P).